If you are a man searching for the best probiotic supplements suitable for your dietary needs, then you might encounter numerous resources on the subject matter that often involve investing a considerable amount of time and energy for research. This presents challenges if you are trying out probiotics for the first time and have no idea what to look for. This article helps narrow the scope in your search by doing the following: (1) it defines probiotics and explains its key uses to help foster understanding of probiotic supplements; (2) it describes the advantages of taking probiotic supplements; (3) it provides important criteria for selecting the right probiotic supplement; and (4) it offers examples of some of the best probiotic supplements for men on the market. According to MedicineNet, probiotics are live microorganisms that help prevent and treat diseases by supporting a healthy immune system and digestive tract. Specifically, probiotics help maintain a balance of healthy and unhealthy bacteria in the body to promote better health and help decrease the onset of diseases such as irritable bowel syndrome, celiac disease, inflammatory bowel disease, infectious and antibiotic diarrhea, Crohn’s disease, ulcerative colitis, and diabetes. While certain foods, dietary supplements, skin creams, and beverages contain probiotics, a large number of microorganisms in probiotic products are similar to the ones found from our bodies. According to the National Center for Complementary and Integrative Health, microorganisms in the human body outnumber cells by 10 to 1. However, diet, age, stress, sleep deprivation, genetics, and environmental factors may affect the composition of microbiota in the body, which can create imbalances between healthy and unhealthy bacteria. For this reason, supplementing your diet with probiotics may help protect you against these imbalances and help enhance the quality of your health. What are the Advantages of Taking Probiotic Supplements? In addition to playing a role in improving digestive health and the immune system, probiotic supplements may also help in less obvious areas. According to WebMD, probiotics may help aid users in areas such as oral health, urinary tract health, allergies, and skin conditions. Moreover, some evidence shows probiotics helping men with their cardiovascular health. According to a 2010 research study by the Journal of Cardiovascular Disease Research, probiotics help lower cholesterol in the liver, a risk factor for heart disease, through an acid that the probiotics produce. More research suggests that probiotics may also help improve bone health. 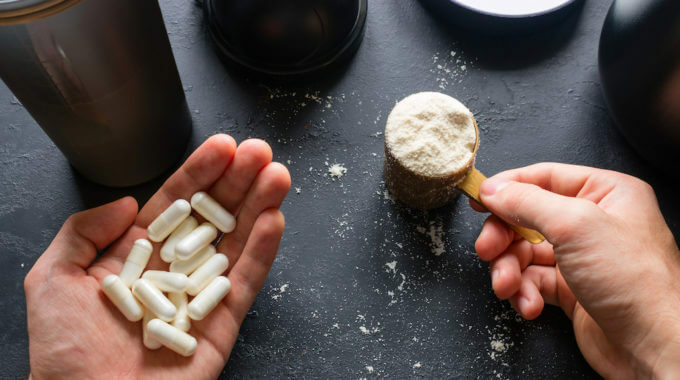 In a research study at Michigan University, scientists provided mice with a probiotic supplement over the course of four weeks to see the effects on bone density as they found that there is a correlation between inflammation in the gut and bone loss. After the four weeks, the scientists discovered that the male mice exhibited a significant increase in bone density, but found no change in female mice. While this study is in its initial stages, it shows that probiotic supplements may play a role in treating or reducing the risk of osteoporosis as one age. Probiotic supplements may also help men with inflammation in the gut. According to the University of Maryland School of Medicine, probiotic supplements with the Lactobillus rhamnosus GG bacteria strain may help reduce inflammation through the production of microorganisms. Furthermore, a research study by the British Journal of Cancer suggests that probiotics also pose an advantage for prostate health. In the study, men with prostate cancer who received a probiotic supplement with the Lactobillus rhamnosus GG (ATCC 53103) bacteria strain exhibited fewer side effects of their chemotherapy treatment such as shorter hospitalization, less stomach pain, and a decreased severity of diarrhea than men that did not receive the probiotic supplement. From this information, we see that probiotic supplements may also play a role in improving the conditions of the prostate in men. What Are the Criteria for Selecting the Best Probiotic Supplements? Some criteria you might consider when deciding on the best probiotic supplement for you include shelf life and refrigeration, bacteria strain, and performance quality. Probiotic supplements are perishable. Thus, it is important to review the expiration date before purchasing. Moreover, some probiotic supplements require refrigeration. According to a-z healthy families, refrigeration helps slow the growth of microbes in probiotics, which results in a longer shelf life for the supplement. There are various types of bacteria strains in probiotics and they do not all perform the same functions. It is important to read the label of a probiotic supplement before purchasing to ensure that the product does the job that you want. Below is a list of common bacteria types and strains along with their functions. Lactobacillus is the most common probiotic type and helps with digestive health and diarrhea, provides immune support, oral health, and liver health. Types of lactobacillus include gasseri, reuteri, paracasei, rhamnosus, plantarum, fermentum, salivarius, and acidophilus. Streptococcus is a probiotic type located in the mouth and primarily treats oral health and immune health. Its bacteria strains include salivarius K12 and M18. Bifidobacterium is a probiotic type that helps with digestive health, diarrhea, immune health, nutrient absorption, constipation, and bloating. Its bacteria strains include longum, children, and bifidum. Bacillus is a probiotic type that helps with digestion and provides constipation relief. Its bacteria strains include coagulants. 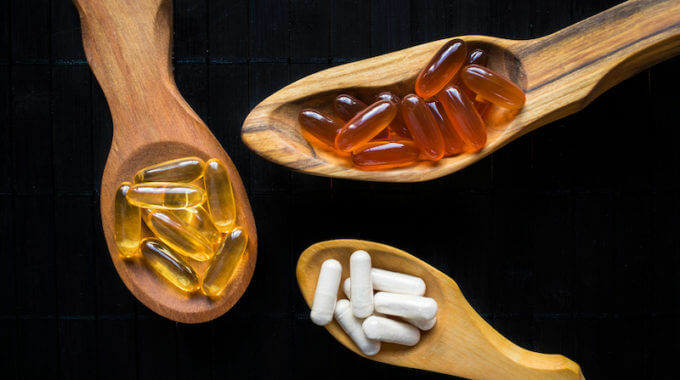 In addition to selecting the probiotic supplement that performs the function that you want, it is also important to select a supplement that performs its function properly. Probiotic supplements with a high number of colony forming units (CFUs), a measure of probiotic potency, typically provide users with the highest performance quality. According to A-Z healthy families, the potency range of the most popular probiotic supplements ranges from 10-30 billion CFUs. What are the Best Probiotic Supplements for Men? The NOW Probiotic-10 blend is a popular probiotic supplement that offers halal, vegan, gluten-free, and soy-based ingredients carry 10 bacteria strains and contain a potency of 50 billion CFUs. In addition, the product also provides acid-resistance to reduce stomach pain. Garden of Life Primal Defense Ultra is another popular probiotic supplement that contains gluten-free, vegetarian-based ingredients and carries 13 bacteria strains and 15 billion CFUs. The product recommends storage in a cool place. BlueBonnet milk-free Probiotics are kosher and vegetarian. This brand provides 3 billion viable, healthy microorganisms per capsule. 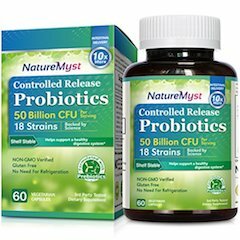 Refrigeration required between 36° F and 46° F.
NatureMyst Probiotics is another popular probiotic supplement for its vegetarian-based ingredients and its long shelf. Moreover, this product also contains 18 strains and holds a potency of 25 billion CFUs with no need for refrigeration. 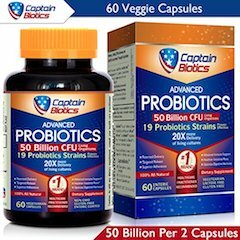 CaptainBiotics offers this probiotics product of 60 vegetarian caps with each cap providing 25 billion CFUs and 19 bacteria strains. CaptainBiotics Probiotics is our best choice on the list as it comes with a great potency at a reasonable price. Overall, finding the probiotic supplement that is right for you depends on your dietary needs and the type of potency that you are looking for. However, understanding the criteria to look out for in your search provides an effective way to narrow down your choices and help you pick up the best supplement for your needs. This review of the best probiotic supplements for men offers just that.